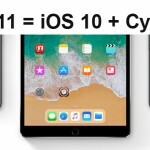 Home › Cydia apps › Andrios Cydia – An Android experience for iOS users.! Are you like to get a real Android experience? 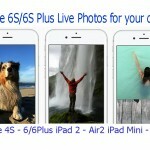 Yes of course, with your iOS device.. Now, your loving Cydia ready to bring it for you. The brand new Cydia app is called Andrios gives an Android inspiration for you iOS device. Andrios is the best ever Cydia tweak which brings great Android features on Apple iOS devices. So, this app is powerful & simply enough to produce real Android working environment on your iDevice. 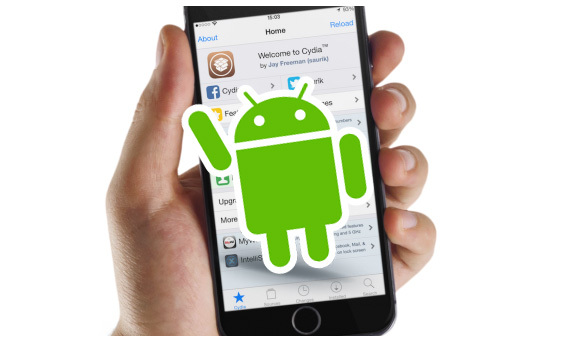 This means, with an Andrios Cydia app you can turn your iPhone or iPad device to Android-iOS hybrid devices. Therefore, this will be the essential tweak for your Cydia apps collection. 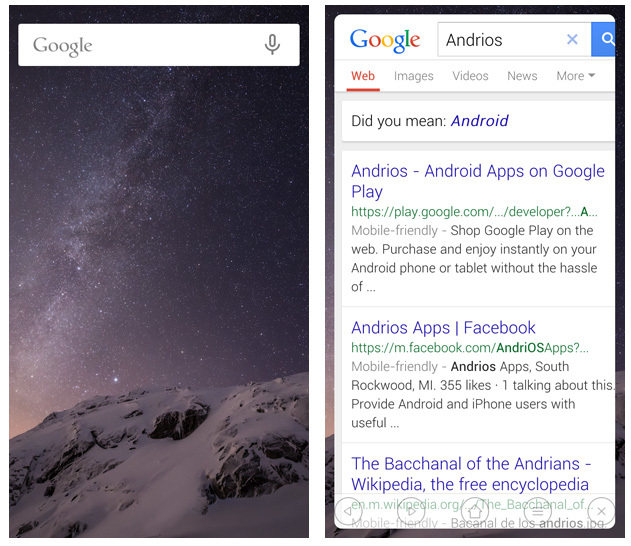 Andrios is a great app which runs lots of Android features on your iOS device. As well as it allows you to fully customize those features in many ways. 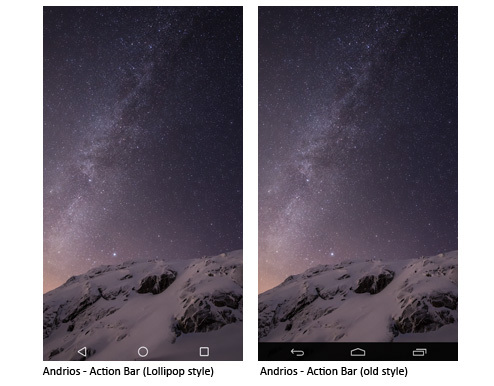 A fully functional 3 buttons action bar like the on android devices. Left button : go back to the previous app. if it pressed on homescreen, then go to last app used. Middle button : like home button, close everything / double tap – open switcher / press & hold – activate siri. Fully functional different looking notification center. 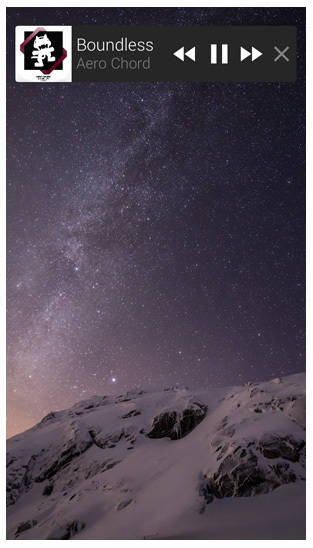 Swipe down on top to show switchers view. Swipe up on switches view to show notifications. A functional mini player widget with media controls. It shows album art, song title & album/artist also. You can drag it anywhere on your screen. Double tap on the widget to disappear & double tap again to appear it back. This brings Android’s Lollipop and KitKat power down option on your iOS device. 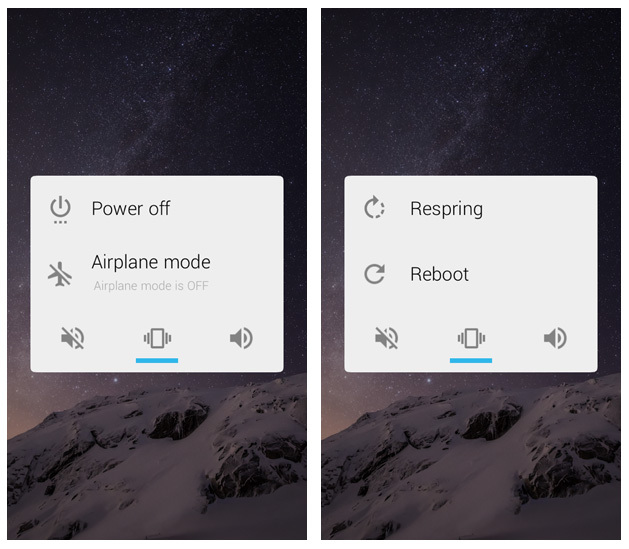 The full featured power menu with options for power off, airplane mode, respring, reboot, Silence mode, vibrate mode & change the ringer volume. 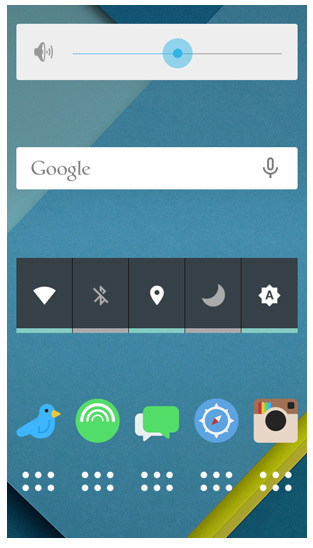 Google search widget, it can be dragged anywhere on the screen. You can pin it to the homescreen. When you search Google through the search widget, a web view will pop up with your search results including buttons for back, forward, home, open in safari & close button. The Siri is also functional & just tap on mic icon to activate. The volume slider to turn volume down or volume up. 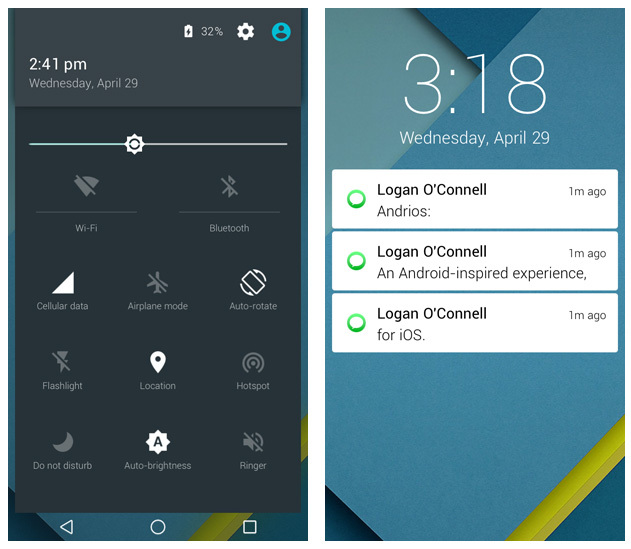 Widget of switches (WiFi, Bluetooth, location services, do not disturb, auto brightness) to turn on/off.